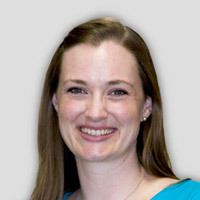 Dr. Erin Donovan (Ph.D., University of Illinois at Urbana-Champaign, 2008) specializes in interpersonal and health communication. Her research centers on the ways that people communicatively cope with major life stressors. The primary foci of her work involve the strategic management of sensitive information and difficult conversations, especially pertaining to health, illness, and risk. Dr. Donovan is interested in the nuances of disclosure and avoidance, for example, how conversational features and people’s perceptions of talk have implications for relationship satisfaction, uncertainty management, and health. She has published on topics ranging from the antecedents and consequences of conversations about cancer and HIV to the confusion that patients experience while reviewing consent documents prior to medical procedures. Her current projects examine the efforts involved in managing information across the illness trajectory. Dr. Donovan teaches courses in interpersonal communication, health communication, and persuasion.